Coming from a theoretical physics and mathematics background, my current research interests include integration of energy conversion processes in bioenergetic systems from electronic excitations and protein level kinetics to cell scale observables and systems level performance metrics. My work develops structural and functional models of cellular compartments from photosynthetic bacteria and plants in close collaboration with experimental scientists, particularly with Neil Hunter Lab providing AFM, EM, mass spectrometry, and optical spectroscopy data. These data-driven models describe the primary processes of energy conversion from excitation transfer kinetics to ATP production, derive Physics-based evolutionary constraints inherent to natural bioenergetic systems, determine principles of robustness and optimality under environmental perturbations, and provide performance comparisons to artificial and bio-inspired solar energy solutions in order to establish design criteria. I am also regularly involved in outreach activities to bring science broad audiences, via public lectures and demonstrations. Ph. D. in Physics Stony Brook University. Title: Universality in Random Matrix Models of Quantum Chromodynamics. A structural and functional model of bacterial light harvesting at atomic, protein, supramolecular, organelle, and cell scales. The structural model shows an array of chromatophores of the purple bacterium Rhodobacter sphaeroides displaying a dense packing under extreme low light conditions. The energy conversion processes revealed by the model, from light absorption to ATP synthesis, permit the determination of performance metrics for this photosynthetic apparatus such as the energy return on energy investment as well as cell scale observables such as the doubling time of the bacterium for photosynthetic growth. (See article.) See publications below. 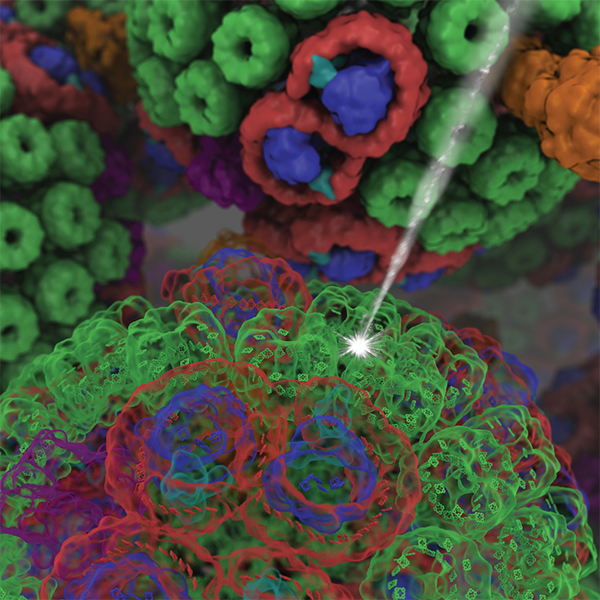 'Life's Solar Battery' A (pseudo-)organelle made of light-harvesting proteins is constructed combinining AFM, NMR, EM, crystallography, and spectroscopy data as atomic detail model, revealing how efficient energy harvesting is achieved through a quantum mechanical process across a 70~nm vesicle containing up to four thousand chlorophylls. 'Evolution Shaped by Physics' How biological networks evolve and how physical constraints that act upon their dynamics shape this evolution is poorly understood. A glimpse of insight can be gained by a comparison of energy transfer networks from related species as presented in this 'Tale of Two Photosystems'. 'Finding the Path' A novel method is presented for finding representative reaction paths for biological processes based on mean first passage times. 'Unbreakable Biological Solar Cell' "If it ain't broke, don't fix it!" By observing the network topology of excitation migration pathways in a massive light harvesting assembly and comparing it to alternative configurations we uncovered signs of robustness and optimality in chlorophyll network architecture. 'Exciting Biology and Hot Physics Meet' Thermal disorder is an ever-present challenge for all organisms - and the scientists who model them. Quantum field theory tools come to the rescue of modelling thermal effects in electronically excited bioenergetic systems. Organization of energy transfer networks in photosynthesis. Lessons learned on robustness and optimality from photosynthetic proteins. 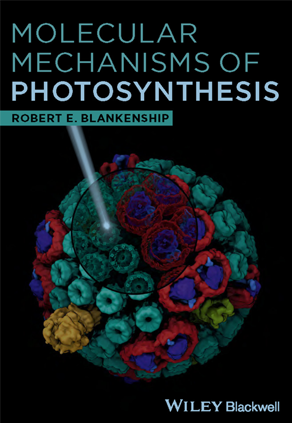 Tale of two photosystems. A glimpse at evolutionary history by comparing the same protein, photosystem I, from cyanobacteria and plants. The supramolecular models featured here were built mainly using Mathematica. Determination of cell doubling times from the return-on-investment time of photosynthetic vesicles based on atomic detail structural models. A. Hitchcock, C. Neil Hunter, and M. Sener. J. Phys. Chem. B, 121:3787-3797, 2017. Lateral segregation of Photosystem I in cyanobacterial thylakoid. C. MacGregor-Chatwin, M. Sener, S.F.H. Barnett, Andrew Hitchcock, M.C. Barnhart-Dailey, K. Maghlaoui, J. Barber, J. A. Timlin, K. Schulten, and C. N. Hunter. Plant Cell, 29:1119-1136, 2017. Visualization of energy conversion processes in a light harvesting organelle at atomic detail. Melih Sener, John E. Stone, Angela Barragan, Abhishek Singharoy, Ivan Teo, Kirby L. Vandivort, Barry Isralewitz, Bo Liu, Boon Chong Goh, James C. Phillips, Lena F. Kourkoutis, C. Neil Hunter, and Klaus Schulten. In Proceedings of the International Conference on High Performance Computing, Networking, Storage and Analysis, SC '14. IEEE Press, 2014. Integration of energy and electron transfer processes in the photosynthetic membrane of Rhodobacter sphaeroides. Michael L. Cartron, John D. Olsen, Melih Sener, Philip J. Jackson, Amanda A. Brindley, Pu Qian, Mark J. Dickman, Graham J. Leggett, Klaus Schulten, and C. Neil Hunter. Biochimica et Biophysica Acta - Bioenergetics, 1837:1769-1780, 2014. 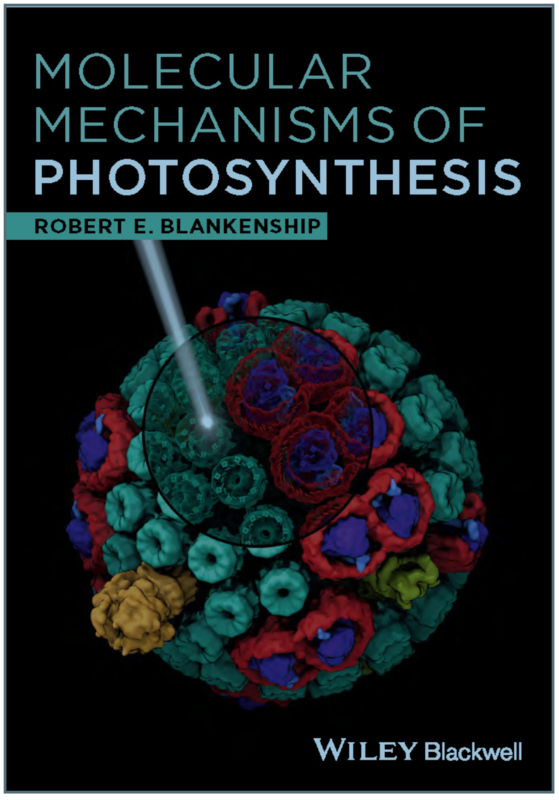 How Quantum Coherence Assists Photosynthetic Light Harvesting. Johan Strumpfer, Melih Sener, and Klaus Schulten. Journal of Physical Chemistry Letters. 3:536-542, 2012. Forster energy transfer theory as reflected in the structures of photosynthetic light harvesting systems. Melih Sener, Johan Strumpfer, Jen Hsin, Danielle Chandler, Simon Scheuring, C. Neil Hunter, and Klaus Schulten. ChemPhysChem, 12:518-531, 2011. The light-harvesting apparatus in purple photosynthetic bacteria: introduction to a quantum biological device. Johan Strumpfer, Jen Hsin, Melih Sener, Danielle Chandler, and Klaus Schulten. In Benoit Roux, editor, Molecular Machines, chapter 2, pp. 19-48. World Scientific Press, 2011. Energy transfer dynamics in an RC-LH1-PufX tubular photosynthetic membrane. Jen Hsin, Johan Strumpfer, Melih Sener, Pu Qian, C. Neil Hunter, and Klaus Schulten. 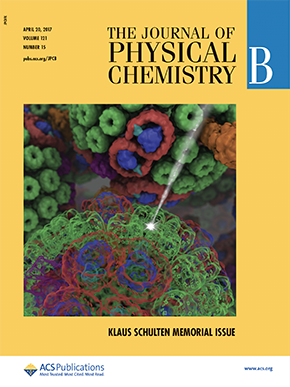 New Journal of Physics, 12:085005, 2010. (19 pages). From Forster resonance energy transfer to coherent resonance energy transfer and back. Robert M. Clegg, Melih Sener, Govindjee. In Optical Biopsy VII, edited by Robert R. Alfano, Proceedings of SPIE, Vol. 7561, paper number: 7561-12; article CID Number 75610C, 21 pages, 2010. Structural model and excitonic properties of the dimeric RC-LH1-PufX complex from Rhodobacter sphaeroides. Melih K. Sener, Jen Hsin, Leonardo G. Trabuco, Elizabeth Villa, Pu Qian, C. Neil Hunter, and Klaus Schulten. Chemical Physics, 357:188-197, 2009. Comparison of the light harvesting networks of plant and cyanobacterial photosystem I. Melih K. Sener, Craig Jolley, Adam Ben-Shem, Petra Fromme, Nathan Nelson, Roberta Croce, and Klaus Schulten. 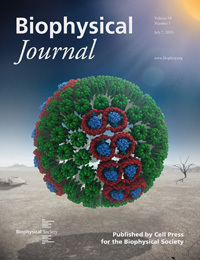 Biophysical Journal, 89:1630-1642, 2005. Physical principles of efficient excitation transfer in light harvesting. Melih Sener and Klaus Schulten. In David L. Andrews, editor, Energy Harvesting Materials, pp. 1-26. World Scientific, Singapore, 2005. Excitation migration in trimeric cyanobacterial photosystem I. Melih K. Sener, Sanghyun Park, Deyu Lu, Ana Damjanovic, Thorsten Ritz, Petra Fromme, and Klaus Schulten. Journal of Chemical Physics, 120:11183-11195, 2004. Reaction paths based on mean first-passage times. Sanghyun Park, Melih K. Sener, Deyu Lu, and Klaus Schulten. Journal of Chemical Physics, 119:1313-1319, 2003. Robustness and optimality of light harvesting in cyanobacterial photosystem I. Melih K. Sener, Deyu Lu, Thorsten Ritz, Sanghyun Park, Petra Fromme, and Klaus Schulten. Journal of Physical Chemistry B, 106:7948-7960, 2002. A general random matrix approach to account for the effect of static disorder on the spectral properties of light harvesting systems. Melih Sener and Klaus Schulten. Physical Review E, 65:031916, 2002. (12 pages). Universality in Random Matrix Models of Quantum Chromodynamics. Ph.D. Thesis. Melih K. Sener, Stony Brook, August 1999. Universality in Chiral Random Matrix Theory at beta =1 and beta =4. Melih K. Sener and Jacobus J. M. Verbaarschot. Physical Review Letters, 81:248-251,1998. Universality of Correlation Functions in Random Matrix Models of QCD. Andrew D. Jackson, Melih K. Sener, and Jacobus J.M. Verbaarschot. Nuclear Physics B, 506:612-632,1997. Finite volume partition functions and Itzykson-Zuber integrals. Andrew D. Jackson, Melih K. Sener, and Jacobus J. M. Verbaarschot Physics Letters B, 387:355-360,1996. Universality near zero virtuality. Andrew D. Jackson, Melih K. Sener, and Jacobus J. M. Verbaarschot Nuclear Physics B, 479:707-726,1996.
address: Beckman Institute, 405 N. Mathews, Urbana, IL 61801. Contact Us // Material on this page is copyrighted; contact Webmaster for more information. // Document last modified on 05 Nov 2018 // 26216 accesses since 20 Mar 2006 .